- Accessibiliry: to make works visible to rnuseum visitors and facilitating the comprehension of their artistic value. Thìs objective was only achieved by the work conducted in close collaboration with art historians, who scientifically defined the criteria for exhibition arrangement in the Galleria (including the aspects to be displayed under artificial light). The lighting system was to be as least intrusive as possible, i.e. virtually invisible. 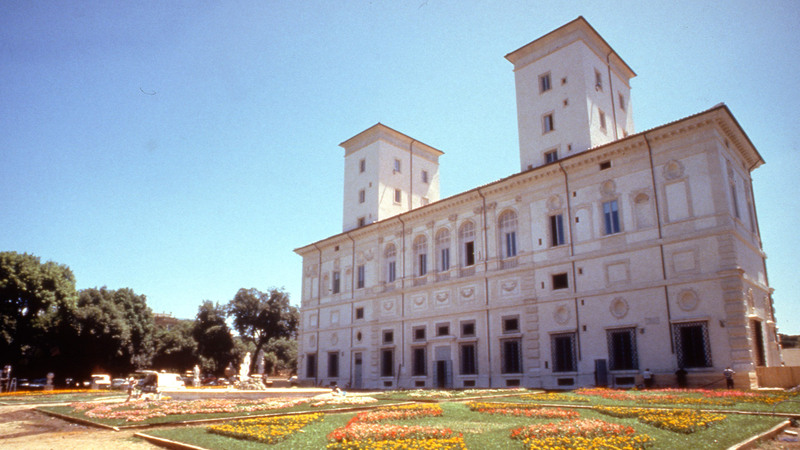 The building itself is the fìrst work of art of the Galleria Borghese, above and beyond its function of housing art works. This consideration made the project a formidable challenge, demanding technical solutions that would not disappoint project expectations, and that would constitute a source of reference for similar projects in the future. A further prioriry was the integration of all works conducted on the building, as well as the co-ordination With the chief architect and site foreman. The flow of natural light, and its co-ordination with artificial light, is a historic and artistic feature of the Galleria. Indeed, since its very opening, the displayed art works were arranged in relation to its architectural characteristics, in line with an approach determined by the distribution of natural light in the museum rooms. Thanks to the light control system, artificial light is complementary to natural Iight. The project comprises two types of lighting: basic lighting and display lighting. 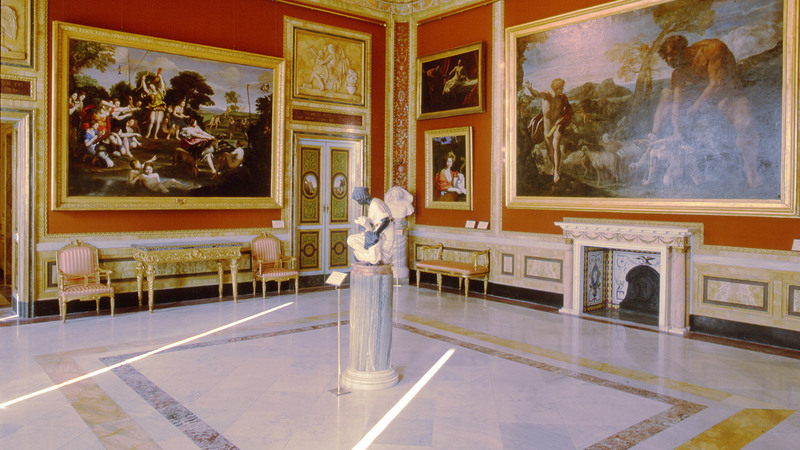 An even lighting system was required by the sheer number of exquisite art works on display throughout the museum - the sense of ensemble, one of the main characteristics of the Borghese collection, would have been lost if works had been individually illuminated, a solution that would in any case have demanded a complex arrangement of lighting and fittings hardly compatible with the principle of "non-intrusion". AlI visitors to the museum are thus forced to choose exhibits according to personal interest, without any hints afforded by the lighting arrangement (the only exception being the highlighting of the central sculptures on the ground floor). Light fittings are installed on the cornices running around the vault perimeter in ali rnuseurn rooms. The position of the fittings was determined by the requirement to ensure that all lamps were virtually invisible to the visitor. Their orientation and optical characteristics were specifically selected to achieve the greatest uniformity of light distribution over walls and vaults. An atmosphere or "diffused" light has been attained in the rooms and on artistic works, on walls and vaults,paintings and sculptures. "Uniformity" is construed as the gradual and contained (vertical) reduction of the lighting level on the walls (from the beginning of the vault to the floor), while remaining constant along their length (from one corner to another). In the numerous tests conducted during project development, lighting uniformity obtained with the fittings oriented towards the centre of vaults proved to be greater (within the project limits) than was possible with projectors with asymmetrical optics pointed towards the walls (wall washers). Reflections on glossy painted surfaces were also avoided on the upper wall section near the Iight fittings. From the architectural point of view, this solution has the advantage of not creating visual fractures between the walls and vault. Another important aspect concerns the room corners, where the vicinity of the fittìngs with the orthogonal wall surface could create a "Iight stain" focused in the vault corner. For this reason, corner light fittings were screened to attenuate light emission levels. The light fittings were based on XO system modules comprising modular extruded aluminium components with pure aluminiurn reflectors. Power supply and wiring parts are fitted to a steel plate positioned behind the reflector; in this way, lamps can be juxtaposed to ensure lighting continuity. Light fittings are powered by an electronic reactor that alIows flow reduction to 5% without flickering; adjustment is smooth and constant. llIumination is possible at alI lighting levels, without flashing. The fitting resets from stand-by after lamp renewal. - their long service life reduces maintenance, which is difficult to perform due to the position of light fittings and the characteristics of the installation site. Performance is also improved in this case by the use of electronic power supplies. After 8,000 hours of operation, the luminous flux of lamps is normally reduced by 20%; the use of electronic power supplies extends this initial period of maximum performance to over 12,000 hours. 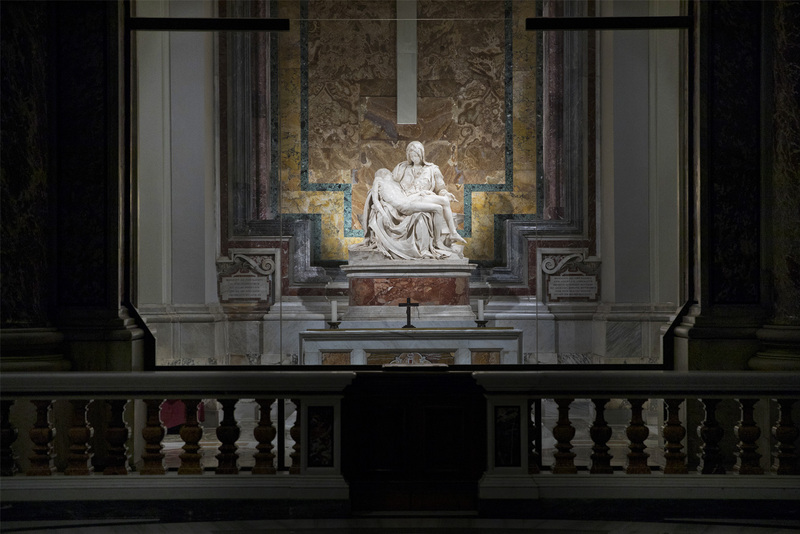 Display lighting integrates basic illumination of exhibited works, in particular of sculptures, to highlight the three dimensionality of form and fullness of contour. Sculpted works are certainly the most difficult to illuminate. Display lighting is provided by a set of Cestello system projectors, fitted with extra-Iow voltage halogen lamps, installed on the vault cornice. In most cases, a main light source deterrnines the position and shape of shadows on the sculpture, while one.or more minor sources attenuate them and eliminate sudden changes from light to dark. This is made possible by the use of "battery" projectors, i.e. a set or individual projectors mounted on a single support bracket (typical of the Cestello systern); the result is a broad light source comprising single point sources. A spacing of approximately 20 cm between these sources produces a soft shading effect, rather than a series of shadows. Though this type of light fitting cannot be completely hidden from sight without impairing its efficiency, its sober, essential shape and positioning minimise any intrusiveness. The pointing of light fittings is guaranteed over time by screws that fix the orientation of the optical compartment; orientation therefore cannot be modified, not even accidentally during the replacement of lamps. The exact number of light fittings required for each sculpture is difficult to establish during project development, given the delicate balance required between light and shade. Preference was given to the separation of frames into groups composed of two optical compartments, even in the case of rows with a greater number or compartments (unlike the standard system, in which multiple optical compartments are mounted on a single frame. Artificial light, which is subordinate to the primary role of natural light, has the task of compensating areas considered insufficiently illuminated, or of attenuating the inevitable effects of back-lighting, particularly when sculptures are positioned against windows. Natural lighting can be partially screened off by blinds, preventing the entry of direct sunlight that could excessively illuminate works. Sunlight is mostly absorbed by the blind fabric, though this still allows the visitor to perceive the position of the windows and the architectural design of the room. All fittings are controlled by a computer system that reduces or increases flux emitted by light sources in relation to the natural lighting present in the room. The windows on the lower floor of the building do not allow even interior illumination; artificial lighting therefore boosts the illumination level achieved by natural light sources, facilitating viewing of exhibits. A directly proportional light principle is used: the greater the natural lighting Irom the windows, the greater the artificial Iighting. The windows on the first floor are however higher, and therefore afford a more even illumination of the interior, even when the blinds are lowered. The adjustment principle followed for artificial lighting is inversely proportional: the greater the natural lighting, the lesser the artificial lighting. Other system functions, such as nocturnal security lighting, are automatically controlled by computer.